EASST launched its own international, peer reviewed, online journal Science & Technology Studies in 2012. In response to the steady growth of our field EASST wishes to create a new strong international journal which benefits its members and the wider STS community. The journal is a development of Science Studies, which has a 25 volume history of internationally peer-reviewed publications. The journal is under review to be included in social science citation index (SSCI). From 2016 the journal has increased its number of issues to four. These will appear in February, May, September and December. 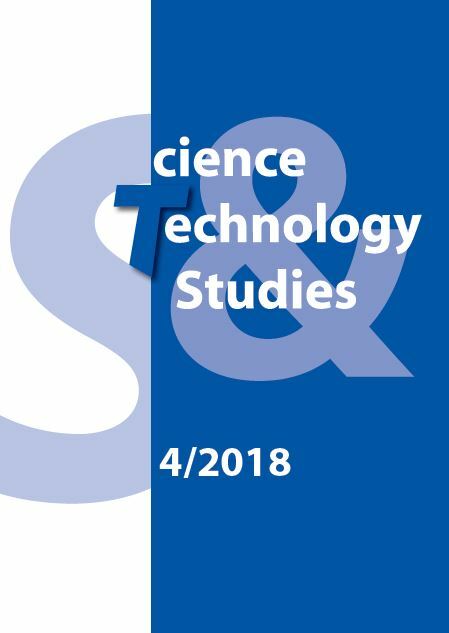 From 2017 Science & Technology Studies will be a fully open access journal. EASST continues to provide financial support to the journal. EASST is proud to support a flagship open access journal for the whole STS community which is independent of commercial publishing houses. surveillance system. It explores ways of understanding the doing and undoing, something and nothing of algorithmic video analytics. The paper pursues a means for engaging with something and nothing by initially drawing on treatments of calculation and qualculation to explore doing. It then seeks to broaden out qualculation by drawing in distinct provocations – blank figures and motility – to engage with forms of undoing. The paper uses the ethnographic study of the algorithmic surveillance system as a means to reflect on the analytic utility of this approach. The conclusion considers three points on something and nothing that this project generated and that could be developed further in future research. This article discusses calculation practices in the development of a monitoring device, aimed at improving therapeutic compliance of children and teenagers suffering from a deformation of the spine. In managing the complexities of physical parameters, therapeutic measures, and interventions in everyday life, numbers are central participants in inferring from and interfering with bodies and behaviours. Numbers constitute the input and output of such monitoring systems, translating, circulating, and visualizing physical conditions and therapeutic effects, as well as suggesting action. This generative process of capturing and interpreting data has at the core algorithms, which process dataand provide seemingly unambiguous numerical outcomes, based on mathematical and technological means of processing information. Attending to the incremental process of “learning algorithms” as a central feature of the system’s development allows me to describe the robustness of certain modes of inference. Over and above using a specific case as an example for computer-based numerical inference and interference, this article attempts to probe and complement two theoretical approaches to the numerical management of complexity: Helen Verran’s (e.g., 2001, 2010, 2013) focus on numbers’ performative properties and the potential tensions arising from divergent numerical orderings, and Paul Kockelman’s (e.g., 2013a, 2013b,) sieving of inferential and indexical chains along the generation of meaning and ontological transformativities. Calculating and making public carbon footprints is becoming self-evident for multinational corporations. Drawing on ethnographic data I narrate of the calculative routine practices involved in that process. The narration shows how routine yet sophisticated mathematical transformations are involved in retrieving salient information, and second that mathematical consistency is readily interrupted by ‘dirty data’. Such interruptions call for opportunistic data management in devising work-arounds, which effect enough mathematical coherence for the number to hold together. Foregrounding an episode of calculative data retrieval, interruption and work-around contrivance, I employ it to make a comparative reading of two STS analytics, arguing: whereas Callon and Law’s (2005) analytic technique of qualculation reveals the episode of data management and work around contrivance as a teleologically oriented process that manages to bridge mathematical inconsistency, Verran’s technique of ontologising troubles enables us to recognise how a number-as-network configures its particular kind of certainty and coherence, how it sticks. This article discusses a number, 6.15%, as it comes into being in the course of an evaluation study of education in a southern Afghan province. This number indicates that out of 100 school-aged girls 6.15 go to school. While this kind of number may invite reflections on its epistemic accuracy, more often it draws attention to its inherent negative — the girls that do not go to school — substantiating a need for sustained international commitment. As this article will show, numbers work to establish girls as research entities, as part of populations, and as a concern for the Afghan government and the international intervention. This interfacing work of numbers — between girls, states, interventions, and research protocols — is often absent from academic work that takes numbers to be stable and passive tools with which the world can be known. This article, instead, takes numbers to have an internally complex multiplicity and to actively engage with their environments. In this article, I use the interface between numbers and environment as a space for ethnographic exploration of world-making. By describing three moments in the lifecycle of the number — data cleaning, analysis and presentation — I describe three distinct moments of interfacing in which the number comes to act in three capacities: effecting reference, constituting proportional comparison, and evoking doubt and certainty. Detailed understanding of numbering practices provides an opportunity to not just critically assess numbers as end products but to carefully assess the worlds that emerge alongside numbering practices and the ways in which numbers contribute in processes of governance. Recent decades have seen a significant rise in the use of numeric evidence in education policy and governance. Using the case of the Education Revolution in Australia, this paper explores the processes by which both ‘distant accounting’ and ‘intimate accounting’ were made possible by new national assessments and a public website which published comparative information about schools’ performance on these assessments. Building on concepts proposed by Kristin Asdal (2011) on intimate actions in accounting, the paper elaborates how Australian regulating authorities created new intimacies by compelling schools to reveal details they might have preferred to keep private. Parents, and the public in general, came to be seen as deserving of such intimate information, and as capable of using such information appropriately. The resulting ‘informed publics’ then played a significant role in the productions of authority and non-authority. Various efforts unfolded to challenge the authority of numbers and to escape being governed by them, by subverting the efforts of quantification and refusing the numbers that were produced. Tracing the story of the Education Revolution affords an opportunity to elaborate the processes of ‘accounting intimacy’ suggested by Asdal (2011) and to examine the relationship between ‘the production of non-authority’ that she described, the production of ‘non-calculation’ suggested by Callon and Law (2005), and the concept of ‘informed publics’ conceptualised by Callon et al. (2009). The paper proposes that ‘distant’ and ‘intimate’ forms of accounting are not mutually exclusive, but can operate simultaneously and even reinforce each other, and it describes how this was achieved in the Education Revolution. This paper explores an episode of numbers appearing on a screen and being read/spoken, looked at and received as numbers, by people who work together to achieve a particular goal. The events happened in Singapore, in 2012-2013, as part of periodic reporting on diabetic retinopathy screening in the context of efforts to innovate such screening. I tell of two parties at odds over how to engage numbers accountably. This question of ‘engagement’, of what can and should be done with numbers to secure their participation in organizational affairs, is worked out in how numerical forms are performed and sustained as working numbers. Using three STS analytics to analyse the episode – Helen Verran’s (2001) work on number as a relation of unity/plurality, John Law’s (1994) work on modes of ordering, and Steve Woolgar and Daniel Neyland’s (2013) work on mundaneity and accountability – I argue that numbers are brought to life in very different ways, each mobilizing a certain recognition of what numbers are and what it takes to respect this. In the conclusion, I comment on the article’s use and juxtaposition of these STS analytics, using the metaphor of a kaleidoscope. Clinical Trials and the Drive to Material Standardisation: ‘Extending the Rails’ or Reinventing the Wheel? Civilizing Drones: Military Discourses Going Civil? 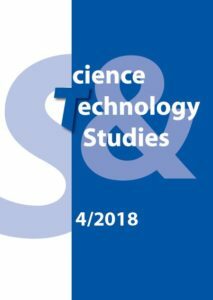 The journal website is available at Science & Technology Studies. EASST members will be emailed whenever a new issue is available with its contents and access details. If you do not receive this email please contact admin(at)easst.net. The journal moved to 3 issues a year in 2013 and 4 issues a year in 2016. We invite prospective authors to submit their work to the new journal. Notes for authors can be found here.